We’re well into the second decade of the 21st century, but Russia’s regional healthcare system remains ill. Some of its symptoms survive from the Soviet period, others came as a result of post-Soviet reforms. A good example can be found south of the Urals. Bashkortostan, a republic of some four million, has a healthcare system exhibiting the entire spectrum of problems that plague Russian healthcare in general. Patients complain of huge lines at local clinics and the avalanche of new paid services in local hospitals. Doctors resent their low salaries and endless “optimisations” of medical institutions, which slash jobs in favour of outsourcing. According to a poll conducted by the pro-Kremlin Union of Rural Youth and the United People’s Front, Bashkortostan is one of several regions dealing with the brunt of worsening medical care. If you speak to the region’s doctors, they’ve few illusions that things can improve. Svetlana Yusupova was on a hunger strike for 40 days. 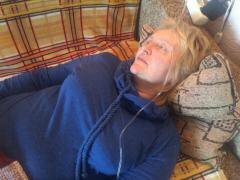 When she fell critically ill, she was denied hospitalisation in Ufa, Bashkortostan’s capital. Yusupova, who is in charge of the Ordzhonikidze ambulance substation, began her hunger strike last March. In an open letter to Bashkortostan’s health minister, she accused the ambulance administration of creating disorder, deliberately creating shortages and worsening working conditions. Yusupova was joined by 11 other employees at the Ordzhonikidze and Central substations, who demanded that the staff list of the ambulance brigades be updated to reflect standard work norms. They also insisted that administrative pressure against the members of the independent union Deistvye (literally: “Action”) cease, and that chief Ufa ambulance doctor, Marat Ziganshin, be fired, believing him to be the cause of the current problems. Maria Yavgildina, nurse and participant of the ambulance workers’ hunger strike in Ufa. Photo courtesy of the author. The March 2016 hunger strike was not the first protest action by Ufa’s medical personnel. The first time Bashkortostan’s doctors openly protested was in July 2014, after the Deistvye union was first established in the region. This independent organisation was established by Andrei Konoval, a well-known trade unionist and civil activist from Udmurtia. At that time, around one hundred Ufa ambulance workers who had joined Deistvye picketed the Ufa Sports Palace. The protesters demanded the return of extra pay for night shifts and overtime, decent quality uniforms and more modern ambulances to replace their deteriorating vehicles. The local government partially responded to protesters’ demands, beginning an inquiry into the work of the Ufa ambulance administrators. Yet reprisals against protesters and the attempt to fire Svetlana Yusupova resulted in a wave of hunger strikes which took place in the autumn of 2014 and spring of 2015. ”Accessible healthcare for all!” Ambulance workers hold a picket in Ufa, Bashkortostan, 2014. Photo courtesy of the author.The conflict at the ambulance station became a regular subject of investigations at the Bashkortostan legislature. 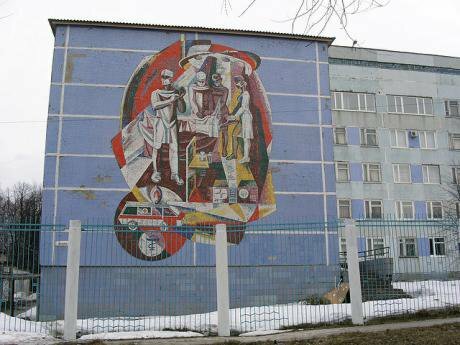 Words of unequivocal support for the strikes were voiced in the medical community and among independent Russian and international union organisations. Public interest led to decreasing pressure on the doctors, but working conditions at Ufa’s ambulance stations still did not improve. Grounds for a conflict between workers and the administration remained. The battle entered a new stage in 2015, when the administration tried to introduce outsourced vehicles. Outsourcing is a fashionable term in Russia. But for Russian doctors, it’s become synonymous with “catastrophe.” In the regions, the powers that be are making medical establishments abandon so-called “non-core functions” – whether they’re transporting and feeding patients, or the cleanup and disinfection of hospital premises. Yet these services haven’t become any better – or cheaper. 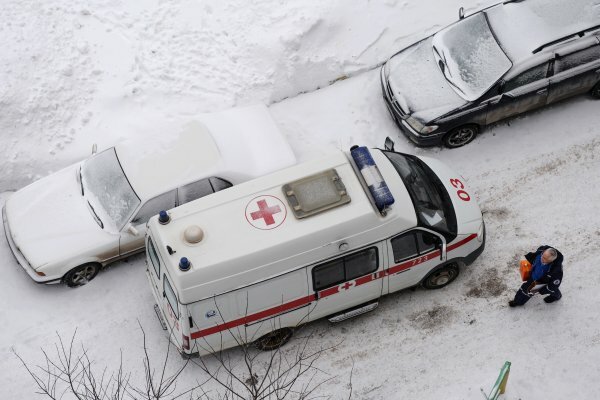 Ufa’s ambulances were among the first victims of outsourcing. In 2012, Novokor, a company owned by Perm businessman Yevgeny Freedman and already operating in Kirov, Samara and Yekaterinburg, offered its services to the Ufa ambulance station. Over the next three years, the company firmly established itself at three substations in Ufa – Demskaya, Kalininskaya, Sipailovskaya, and, partially, at the central station. 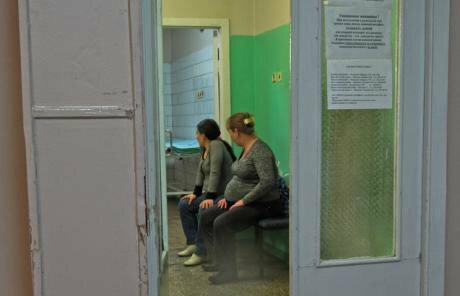 Maternity ward in a Yekaterinburg hospital. Photo CC: Peretz Partensky / Flickr. Some rights reserved.Resistance began when Freedman, with full support from the administration, decreed that the Ordzhonikidze substation would also use outsourced vehicles. The Deistvye union, whose biggest member cell is at Ordzhonikidze, decided to resist. Doctors joined ambulance drivers in protest. Because of protests, the Ordzhonikidze substation was saved from outsourcing. But this novelty is meanwhile spreading to other branches of healthcare. An ambulance on call in a Novosibirsk suburb, 2015. Photo (c): Aleksandr Kryazhyov / visual RIAN. All rights reserved.In March of this year, local media reported that the health ministry of Bashkortostan plans to use outsourced (and expensive) medical equipment. Fans of outsourcing argue that a lot of such medical equipment is not used properly, as there aren’t enough qualified specialists to service it. Meanwhile, nobody is bothering to ask how much prices for high-tech medical procedures will rise. The hunger strikes and pickets at the Ordzhonikidze substation are so far the only protests by medical staff in Bashkortostan. But further dissent can’t be ruled out. Legal constraints on doctors mean that a secret protest is taking place – one that involves worsening treatment of patients. The Deistvye union recently publicised a story of how doctors at Ufa Hospital No. 22 refused to hospitalise a pensioner showing stroke symptoms, having literally forced him outside. The poor man spent over 24 hours outside in his wheelchair with no food. He was saved only when Deistvye activist and ambulance driver Dmitry Dumenko found out about the incident, became enraged, and called the police and journalists to see what was happening at the hospital. The situation faced by the medical establishment results in a lack of qualified specialists. In February 2016, the region’s health ministry, for example, said that in 2015 the average rate of doctor availability in the republic was just 34.4%. It’s a particularly poor showing, but indicators across the country as a whole are also disturbing. As doctor Guzel Ulumbekova found in her report to the All-Russian Pirogov Congress of Physicians, in 2015 there were 22% fewer practicing medics and 23% fewer hospital beds than national standards required. Even more worringly, the number of doctors in rural clinics across Russia is now 3.5 times lower than those in urban areas. In the last five and a half years – the tenure of the republic’s current head Rustem Khamitov – Bashkortostan has already seen three health ministers come and go. This ritual of “passing the baton” hasn’t improved workings at the ministry. Bashkortostan’s leader was especially incensed at the price at which healthcare institutions had to buy medicines, which he said can differ by twenty times the amount depending on the hospital. After this tongue-lashing, the public awaited the dismissal of the region’s health minister Anvar Bakirov. It never came, but six months later, Khamitov again launched into another tirade against the ministry and medicine-buying practices. It’s entirely possible that the health ministry will be dressed down in public again. But nothing will actually change – the system will not be changed via verbal abuse nor by making scapegoats of individual ministers. It’s a legacy inherited from the USSR and undermined the state bureaucrats and private companies of Russia today. Bashkortostan is just one example of a health system which is now in a deep malaise.